Ah the 90's! The time of bops, raising the roof, and barbie girls. If you were a 90's kid there is no doubt that you were bopping your head to all the hits from your favorite boybands and pop stars. 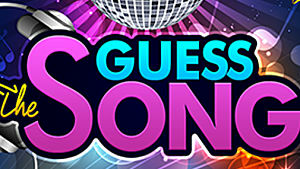 Guess the Song is bringing back memories with their 90's category. For those of you who may have forgotten some of the throwback songs, I bring you the answers to the 90's hits category in the trivia game dedicated to songs of the past.